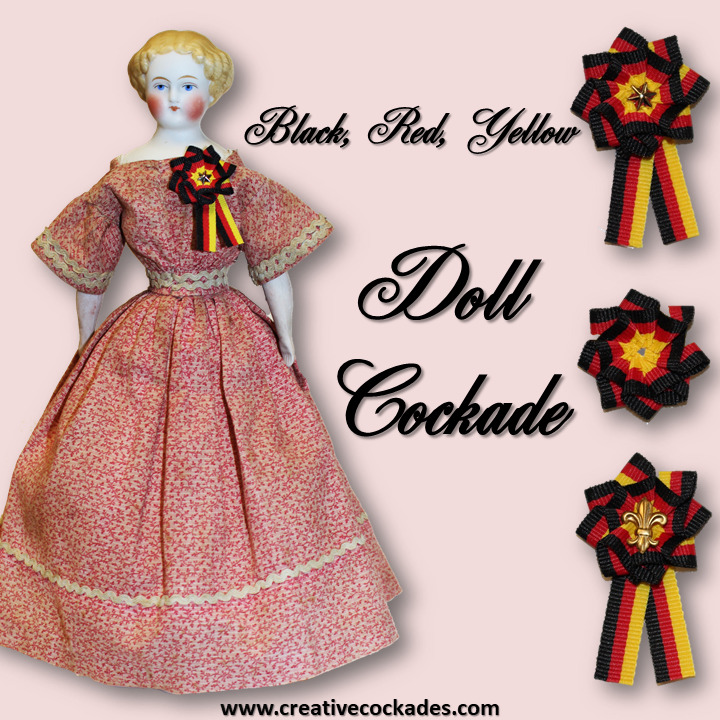 Every doll needs their own cockade! This tiny little badge is designed especially for 10"-15" size dolls. Larger dolls can enjoy the cockade as well. Choose your center emblem and whether you want a straight pin or magnetic clasp for the back. This is also a perfect size for a human person's lapel. I recommend choosing the magnetic clasp for this option.